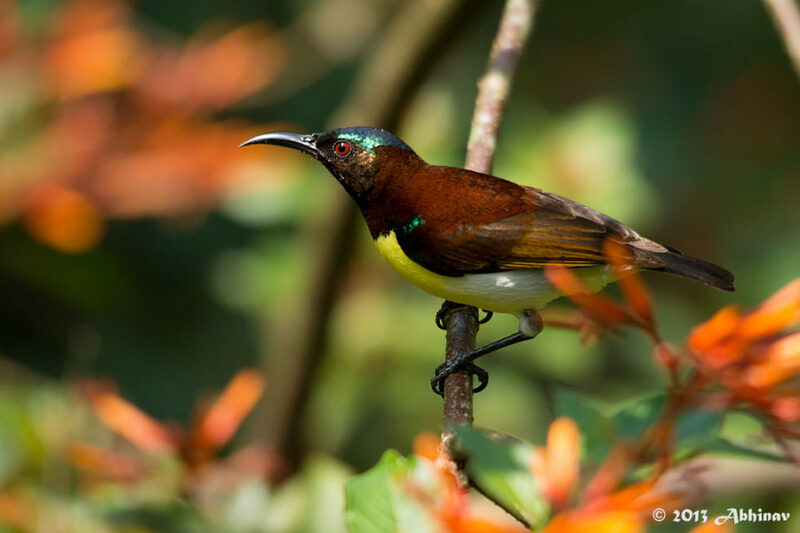 Purple-rumped Sunbird is a common species of sunbird in the peninsular India. They are common even in well populated and urban areas. The upper side including the neck of the male has chestnut color. The underparts are yellow in color which merges into white towards the lower belly region. The male also has shining greenish blue shoulder patches. The crown is also greenish blue. Rump has a purple color. 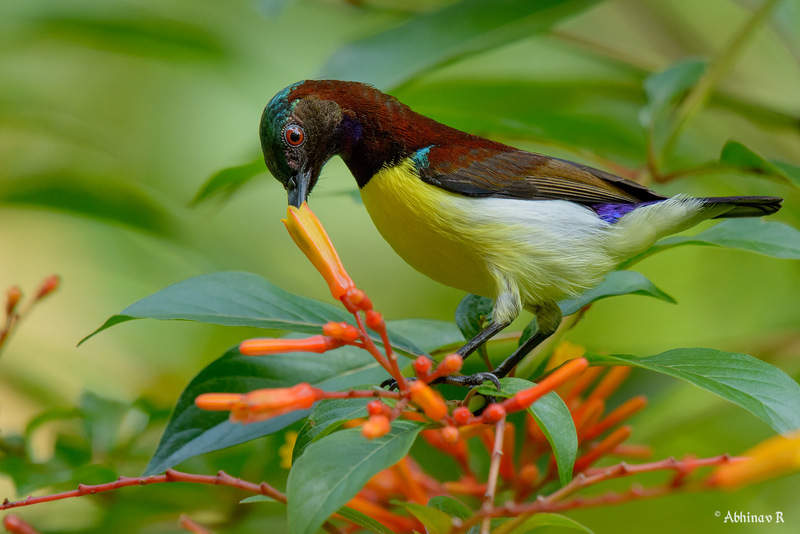 The male looks very similar to the male of a Crimson-backed Sunbird. The female is mainly grey and yellow in color. 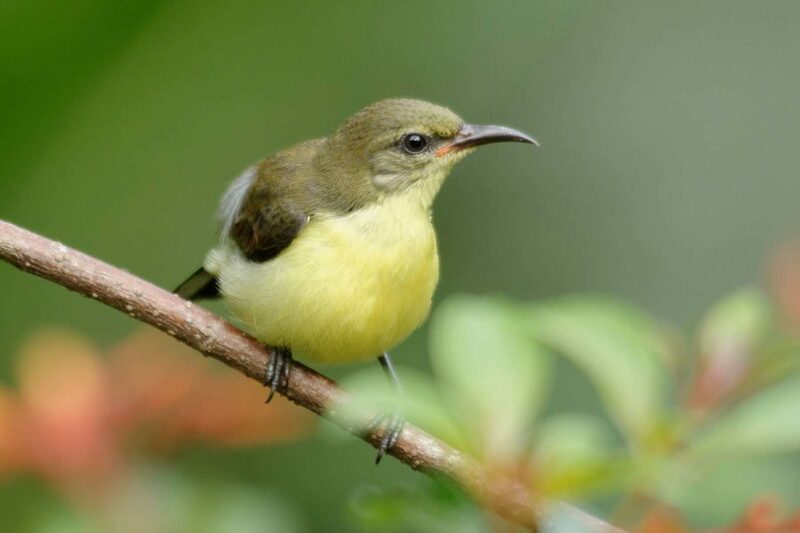 Their wings have a red tint whereas the wings of female Crimson-backed Sunbird have an olive-green shade. Size is around 10cm which is noticeably larger than the Crimson-backed. This bird is nearly endemic to the peninsular India. Found from West Bengal and Madhya Pradesh towards the south. Found in Sri Lanka also. It is usual to see this small bird even in populated areas. Also a common visitor to gardens with nectar-rich flowers. Usually found in pairs. 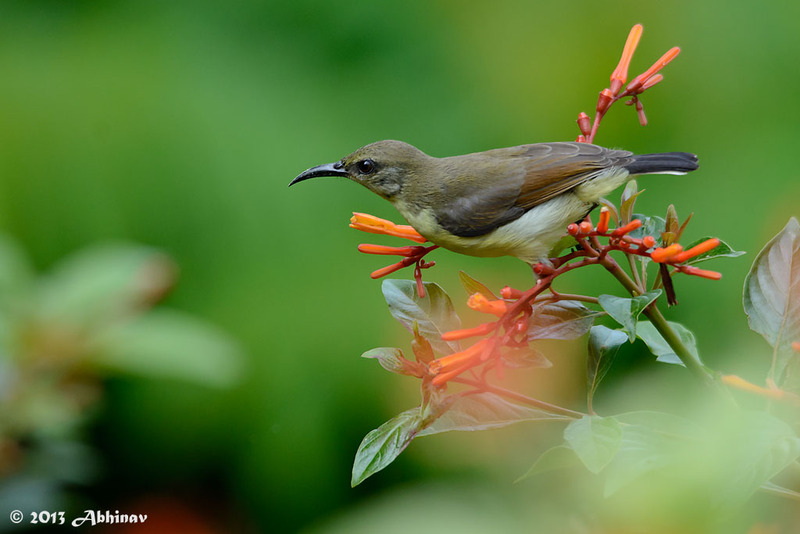 Many times I have seen them chasing away Loten’s Sunbird from a plant where they regularly feed. 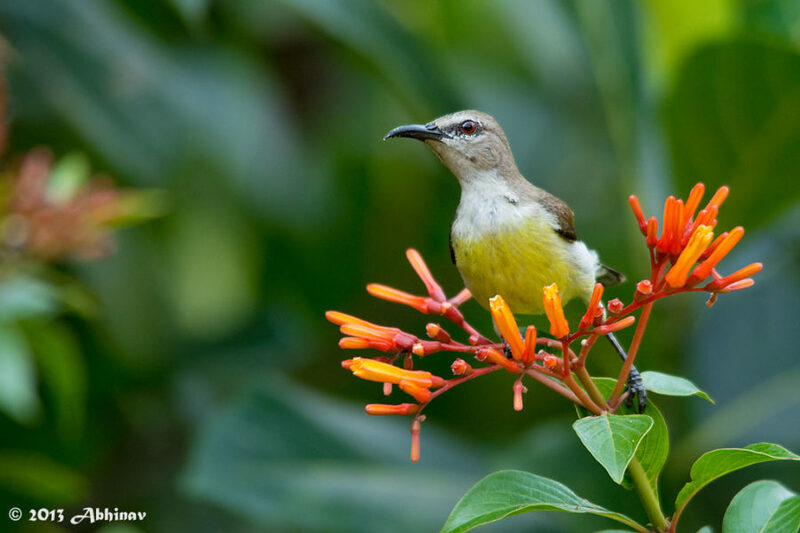 Their call has a softer tone compared to other Sunbirds.